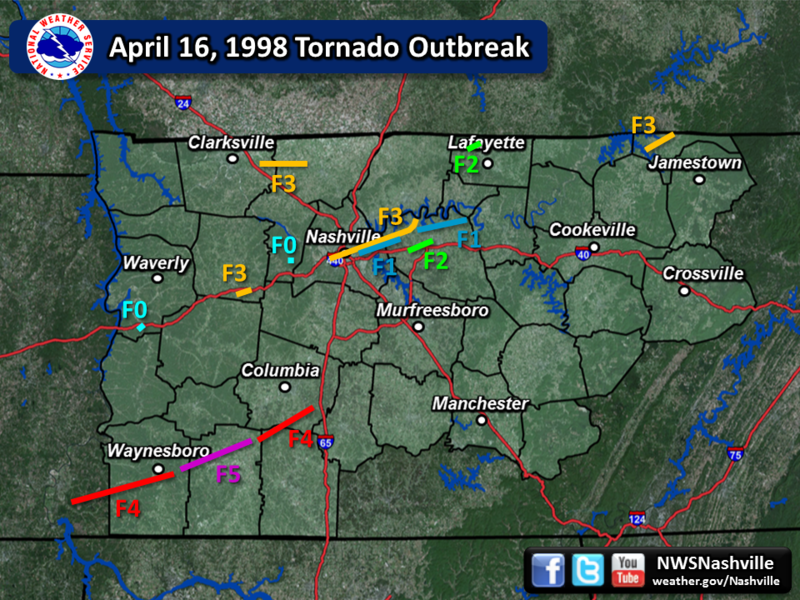 This month marks the 20th anniversary of the April 16, 1998 outbreak, which featured an F5 (the "Forgotten F5") in Lawrence County as well as an F3 storm that moved across downtown Nashville. I watched the rotating wall cloud from the campus of Lipscomb move across downtown. Other communities in Tennessee were struck on that day. There are several videos posted on Youtube of the storm moving through downtown. If you haven't seen them yet, check them out! 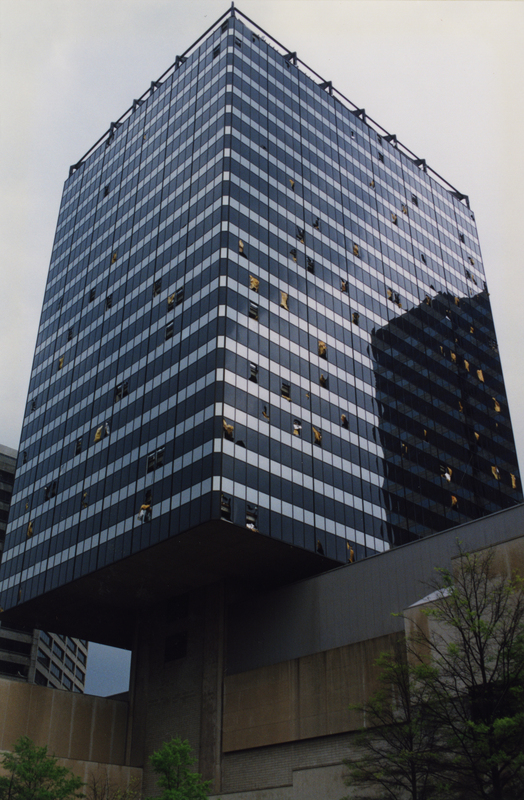 I remember seeing the windows blown out on the James K Polk Building. Plywood was over these windows for a while until they were repaired. Office papers were said to have been blowing around (from the debris blown out of the buildings) after the tornado passed.